Our Instagram feeds in January are full of healthy food, gym selfies and pledges for a new year, new me! After over-indulging and over-styling our hair in the festive party season, this year we’re embarking on a hair detox! It’s the perfect time to return your hair back to healthy state. Keep reading to discover our top hair care tips for the ultimate hair detox and repair. If you're regularly dyeing your hair, this can take its toll on the condition of your locks, increasing dryness and damage. Use a moisturizing shampoo and conditioner specifically formulated for colour-treated hair, like our Brilliant Brunette Multi-Tone Revealing Moisturizing Shampoo and Conditioner. Blondes, to moisturize highlighted locks, use Sheer Blonde Highlight Activating Brightening Shampoo and Conditioner. Adding extra moisture to combat dryness will also work to activate your colour and stop it from fading. An intense mask is the best hair repair treatment for damaged hair and can give you noticeable results after just one use. It’s also ultra easy to add into your hair care routine. Simply use once a week by applying to clean hair for 3-5 minutes before rinsing. Try our Miraculous Recovery Deep Conditioner to transform your locks from frizzy, dry and damaged to nourished and conditioned. Strong, nourished hair means less breakage and healthier hair all around! We understand how hard it is to give up your heat stylers, so we recommend using a heat protector spray to prevent further damage when using heated tongs, dryers or straighteners. If you’re looking to achieve a straight, smooth style that lasts, try our Frizz Ease 3 Day Straight Flat Iron Spray. Not only does it prep and prevent your hair from heat damage, it wraps each strand to seal in longer lasting straightness without weighing hair down. 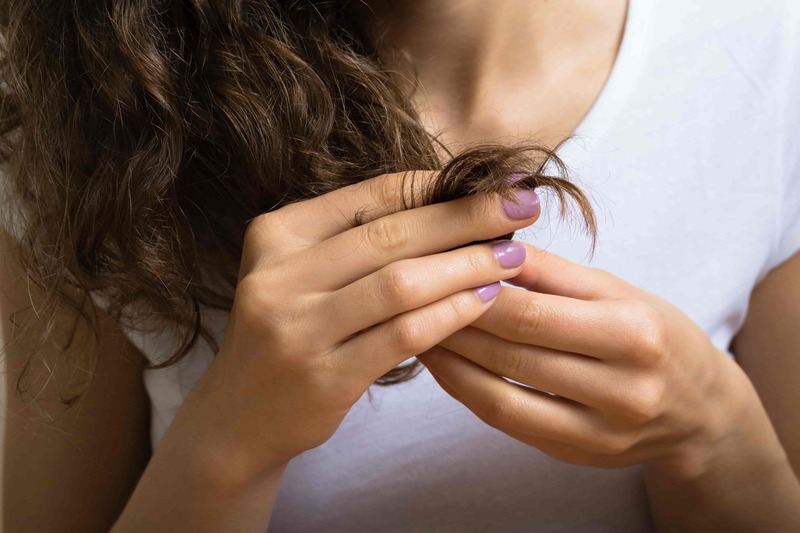 With these three easy hair care tips to start your locks detox, you can take your mane from damaged and dry to nourished and healthy-looking (whilst still allowing for some sweet indulgences)...This could be the easiest detox you’ve ever tried!